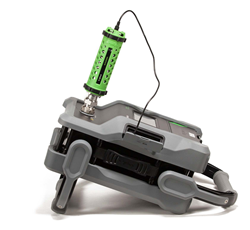 The ACE-1000A is the industry's first analyzer calibration extender. The ACE-1000A provides our customers with a state of the art method to retain their instruments in the field, increasing productivity. Kaelus, an Infinite Electronics brand, announced today the launch of the ACE-1000A analyzer calibration extender— The industry’s first calibration extender that allows customers to self-calibrate their Kaelus PIM analyzers in the field. The ACE-1000A is now available to support both the Kaelus iPA and iTA instruments, reducing downtime of calibration to less than one hour and after successful calibration, extending the analyzer’s calibration date by 12 months. The newly launched Kaelus Unify app guides the user through the calibration process from testing through payment, eliminating the need to send test equipment to a Kaelus Service Center for calibration. To learn more about the new ACE-1000A calibration extender, contact Kaelus today. Kaelus is a globally recognized leader in test and measurement instruments, cell-site filters, combiners and tower-mounted amplifiers. Formed in 2010 from the combining of four companies, Kaelus provides the telecommunications industry with high-quality, low PIM products that enable effective global communication. For more information, visit http://www.kaelus.com. Based in Irvine, Calif., Infinite Electronics offers a broad range of RF components, assemblies and wired/wireless connectivity solutions, serving the aerospace, defense, industrial, government, consumer electronics, rail, instrumentation, medical and telecommunications markets. Operating under the Pasternack, Fairview Microwave, L-com, MilesTek, KP Performance Antenna, Aiconics, Kaelus, PolyPhaser, Transtector Systems and RadioWaves brands, Infinite Electronics serves a global engineering customer base with deep technical expertise and one of the broadest inventories of products available for immediate shipment. For more information, visit http://www.infiniteelectronics.com.